A wide panorama of the marsh. There are some bird photography chances in the Rough Marsh. 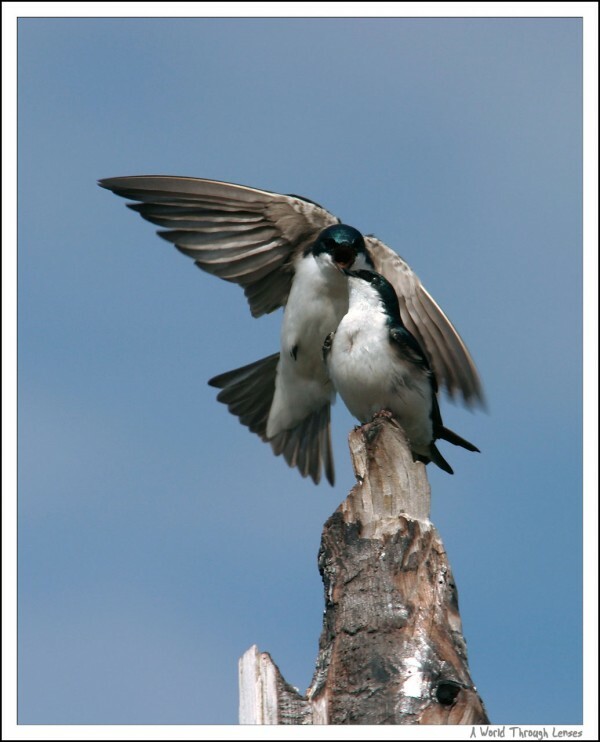 In the marsh’s pond there’s a few branches and tree swallows are very active there. But they are a bit far for my Sigma 100-300 F4 even with the 1.4x extender. This was my best shot at the swallows. Saw a bunch of cormorants fly across the sky. Cross the rouge river and into the east part of the beach. Someone built a few small inukshuks right in the sandy beach. Here’s where Rouge Beach park is located.